Have you considered working as an online English tutor for a company like ProofreadingServices.com ? The best online tutoring jobs for teachers pay $22 per hour and you can choose your own schedule. If you are looking for Proofreadingservices.com reviews then read on! Do you want to teach English online to students all over the world? ProofreadingServices.com is hiring tutors who have the skills, experience, and commitment to help English as a Second Language (ESL) students achieve fluency from the comfort of their own homes. Tutoring ESL students is a fantastic work-from-home opportunity that offers competitive pay and flexible hours. 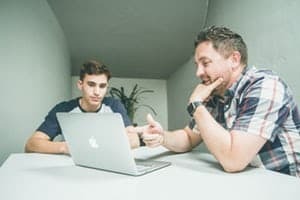 Read on to see if you’re a good fit for an English tutoring job with ProofreadingServices.com. Side Note: Sign-up for VIPKID to earn $14-22/hour. Working from home teaching English online. What is online English tutoring all about? English is the lingua franca of the modern world, so more and more people are learning English as a second language to help them succeed in higher education and in business. Demand for high-quality English tutoring is soaring. All an ESL student needs is a computer, a webcam, and high-speed internet to connect with professional tutors in any country. Qualified ESL tutors help students practice conversational English and prepare for life in an English-speaking country. Tutors also teach business English to learners who need to communicate with international clients. And tutors work one-on-one with students to prepare them for English assessment tests, such as IELTS and the Cambridge English exam. 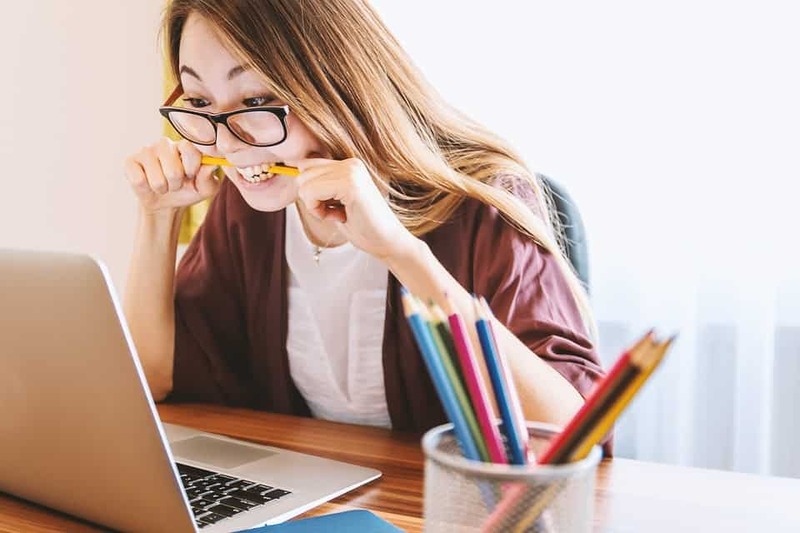 Many ESL students are academics and business people who want to improve their English skills so they can apply to grad school, pursue jobs in the US, or achieve some other well-defined goal. This isn’t recreational language learning: if students aren’t getting results, they’ll go elsewhere. Unfortunately, the high demand for English instruction means a lot of companies are hiring people with no training or experience. But simply being a native English speaker doesn’t make someone a qualified teacher. ProofreadingServices.com is looking for experienced tutors to teach conversational English and business English and help with test prep (e.g., TOEFL, IELTS, TOEIC). Their qualified tutors meet with ESL students via webcam for live one-on-one tutoring. The students are academics, business people, and jobseekers of all ages, and the tutors use a conversational approach to keep learning fun. ProofreadingServices.com is best known for its editing and proofreading services, and it has built a reputation for outstanding quality, customer service, and commitment to customer satisfaction. Its new online English tutoring services continue to uphold these high standards. Do you have experience tutoring ESL students? Do you have English tutoring experience in a one-on-one setting? Do you have experience designing your own curricula? Are you honest and patient? Are you comfortable in front of a webcam? Do you have experience using a combination of Skype, Google Hangouts, and WhatsApp? Are you confident about the quality of your services and willing to honor the ProofreadingServices.com money-back guarantee? The company hires English tutors from any country and offers competitive pay and flexible hours. You’ll work mostly with adults but sometimes with children. The ESL students are from many countries, including Iraq, Japan, the United States, Pakistan, Brazil, China, and South Korea. Because the schedule is flexible, you’ll coordinate with students to schedule lessons that suit both of you. ProofreadingServices.com pays its tutors $20 an hour and sends payments through PayPal. This is a pretty good rate of pay but there are other options. For example you could Sign-up for VIPKID to earn $14-22/hour for teaching English online to students. Visit the hiring page at ProofreadingServices.com to read the full application instructions and learn the contact information. What formal English teaching and/or tutoring qualifications do you have? What informal teaching and/or tutoring experience do you have? Have you helped students prepare for English exams? If so, which exams? What is your level of English proficiency (native, fluent, etc.)? To succeed as an online English tutor with ProofreadingServices.com, you must be fluent in English and have proven tutoring experience, be comfortable tutoring via a webcam, and be committed to helping students achieve their learning goals. Keep in mind that this isn’t a job for beginners. ProofreadingServices.com wants tutors who are experienced, confident, flexible, and committed to providing the best ESL instruction for students. In return, ESL tutors receive competitive pay, work flexible hours, and build ongoing relationships with their students and colleagues. The best online tutoring jobs for teachers pay as much as $22 per hour and you can choose your own schedule. Teaching English online might be the perfect side hustle for teachers and people that love to help others learn. ProofreadingServices.com is not the only company that will pay tutors to teach English online. One of the most famous companies that employ people to teach English online is called VIPKID. If you live in the USA and think that you might enjoy teaching Chinese students English then VIPKID might be a great choice for you. If you are a qualified teacher then VIPKID is hiring people to teach English online to students. The typical rate of pay is really good for this type of work, with the payment rate between $15 and $22 per hour. Typically, lessons will only last 30 minutes and you can choose how many hours that you want to work. You do need a bachelor’s degree but it can be in any subject (so not just an English or teaching degree!). You also need to be able to demonstrate that you have spend a minimum of one year of teaching experience or equivalent tutoring experience. You can learn all of the requirements here and see if teaching English to kids in China might be a good side hustle for you. If you are looking for other work from home or freelance business ideas then you should definitely consider learning to proofread for bloggers online! You can learn from one of the best proofreaders in the world – check out this FREE WEBINAR where she teaches you how to make money with freelance proofreading! Maybe you can learn to be a freelance proofreader and work for ProofreadingServices.com! 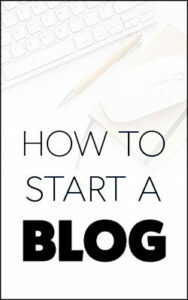 Here are some of our other articles that will help you to learn freelance proofreading as a way to make money online. 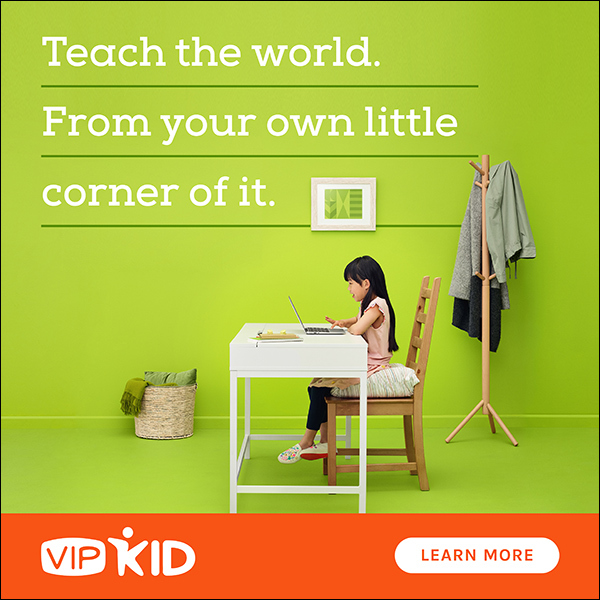 Sign-up for VIPKID to earn $14-22/hour. Working from home teaching English online. Have you tried teaching English on ProofreadingServices.com? Let us know in the comments below if you have found teaching English to be a good work at home job. The best online tutoring jobs for teachers pay $22 per hour and you can choose your own schedule. Found any other proofreadingservices.com reviews online?